Just like humans, a dog has special nutrient requirements that you cannot ignore. As your furry friend ages, he becomes susceptible to some conditions, such as bone loss, arthritis, inflammation of the muscles and other ailments. Fortunately, you can prevent some these ailments by opting for dog supplements. Average dogs that are in good health might not be need supplements if they are fed a balanced and nutritious diet. However, if your pet suffers from a specific health condition and is not benefiting from a well-balanced diet, you ought to opt for dog supplements. It should be noted that dogs that are on a prescription diet might already be consuming ingredients you are looking to supplement. Talk to a vet before introducing supplements in your dog’s diet. In this case, your dog is likely to benefit from taking supplements. However, your vet will most likely r﻿ecommend a single vitamin supplement instead of a multi-vitamin tablet. Mineral and vitamin deficiencies can result in dangerous diseases in your pet. For example, dermatosis is caused by a zinc deficiency in dogs. 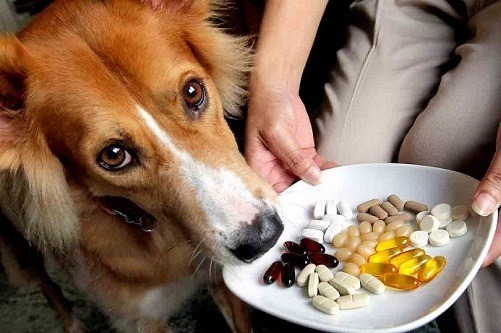 Include supplements in your dog’s diet if it can potentially treat a certain disease. Again, it is best you consult a vet for special recommendation and tips on how to handle the situation. If you are a dedicated pet owner and make nutritious meals for your pet, it is advised that you invest in dog supplements for your furry pal. While home-cooked meals are packed with nutrition, it is unlikely that you are keeping count of each vitamin and mineral your pal is getting. 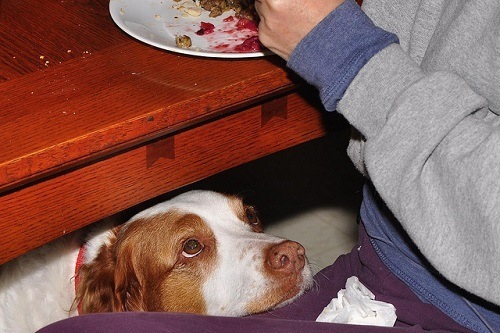 Fortunately, feeding your dog a multi-vitamin supplement can solve this problem. Unfortunately, joint discomfort and pain can be a result of mineral deficiency. Older dogs are likely to suffer from joint discomfort. Fortunately, feeding your certain pooch supplements can result in better joint health, allowing your dog to lead a healthy and happy life. Do Your Research: Before selecting a specific brand, be sure to conduct advanced research. Ensure the brand conducts independent clinical studies of their products. It is a bonus if the product has received a majority of positive reviews and has a commendable reputation. Buy What You Need: Don’t just grab a bottle of multi-vitamins before reading the label. Before you head over to the store, learn the scientific names of all the ingredients that you are looking for and choose a product based on those ingredients. Carefully read the label to ensure the product is exactly what you are looking for. Invest in High Quality: When it comes to investing in quality products, you get what you pay for. Be prepared to pay the price for the most reputable brands out there. Choose natural supplements made from high-quality ingredients. Poor quality products can result in impurities and may result in dangerous health concerns for your dog. ​Evaluate Your Dog’s Health Concerns: Do not forget to evaluate your dog’s health before investing in a bottle of supplements. Some supplements might not be suitable for pregnant and nursing dogs, hence talk to your vet if you have any special concerns. Scan the Packaging: The packaging may reveal a lot about the brand and will tell you about their internal quality control checks. Always check the expiration date and avoid buying a product if the packaging looks off. ​Be Realistic: Let’s be real. A bottle of supplements will not help you cure some of the world’s most dangerous diseases, hence avoid claims that sound too good to be true. Invest in a brand that values integrity and is committed to serving its customers. ​Minimal Side Effects: Invest in a quality product that has minimal side effects. After all, what’s the point of feeding your dog supplements if it will cause damage to his health? 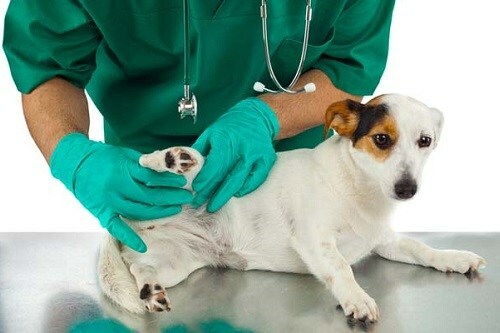 If you have any doubt, consider taking your dog to a veterinarian. This might cost you a few more dollars, but it will be worth the investment. Additionally, you can rest assured your dog is feeding on quality, doctor recommended product that won’t prove harmful for his health. Probiotics are healthy bacteria that keep your digestive system in check. These supplements are used for keeping your dog’s intestinal tract in good health. Adding 2-GI probiotics to your dog’s daily routine is an effective means of improving his digestive health. Probiotics work by introducing healthy bacteria into your dog’s system. However, like other types of supplements, it is best that you speak to a professional before giving your dog a daily dose of probiotics. Omega 3 Fatty Acids or fish oil is a wonderful supplement that can help with inflammation and dry skin. Fatty acids play a crucial role in reducing inflammation and can also help if your dog has an excessive scratching problem. Foods such as salmon and fish oil are rich in fatty acids and can help with a variety of skin conditions. Talk to your veterinarian if you need expert advice on selecting the best supplements. Glucosamine is an important component that is beneficial for dogs suffering from arthritis, elbow and hip dysplasia along with other joint conditions. Glucosamine has been known for improving digestive health and reducing the risk of skin conditions. Glucosamine causes few side effects and is safe to use for dogs. If your dog does not like the taste of glucosamine supplements, consider investing in treats containing Glucosamine. 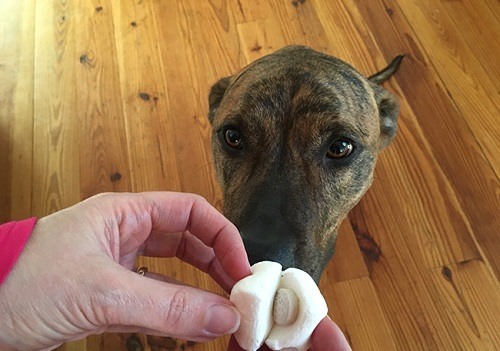 Another healthy alternative is to feed your homemade dog broth but be sure not to feed your dog cooked bone pieces as they can prove harmful. Digestive enzymes are chemicals needed to break down various nutrients in your canine friend’s body. These enzymes are used for breaking down various nutrients that can relieve allergy symptoms in pets. While raw food contains large amounts of digestive enzymes, these enzymes undergo chemical breakdown when the food is cooked or processed. Adding these supplements to your dog’s diet can bring about a drastic improvement in his overall health. As the name indicates, multi-vitamins are designed to make up for mineral and vitamin deficiencies in your dog’s diet. Multi-vitamins are best suited for dogs that feed on home-cooked meals to balance their nutritional diet. Consult a professional to figure out a recommended dosage for your pet. Increased Energy: Is your furry pal beginning to show signs of loss of energy and aging? Well, perhaps you should consider investing in quality supplements. Good quality vitamin supplements can improve your dog’s eyes, kidneys, and immune system, improving his overall health and wellbeing. Excellent Bone and Joint Health: Vitamins and minerals, such as calcium and manganese, play an effective role in maintaining healthy bones and joints. Glucosamine supplements have also been known for reducing the risks of arthritis in dogs. ​Healthy Skin and Coat: Giving your dog a healthy boost of supplements, such as fish oils and omega fatty acids, can drastically improve skin health, resulting in a shinier and more attractive fur﻿﻿ coat. Biotin is another important supplement that plays a crucial role in improving skin health and reducing shedding. ​Boosts Immune System: Feeding your canine friend supplements can play a crucial role in boosting their immune system. Supplements can help ward off diseases and improve your dog’s kidney function. Vets recommend supplements to dogs that suffer from chronic diseases. Additionally, feeding your dog supplements can also improve digestive function. Blood Health: Iron is an essential component that is used for maintaining healthy levels of red blood cells. Without a healthy iron supply, your dog can become anemic. Vitamin K is another chemical component that is necessary for good blood health. The vitamin aids normal functions such as clotting. 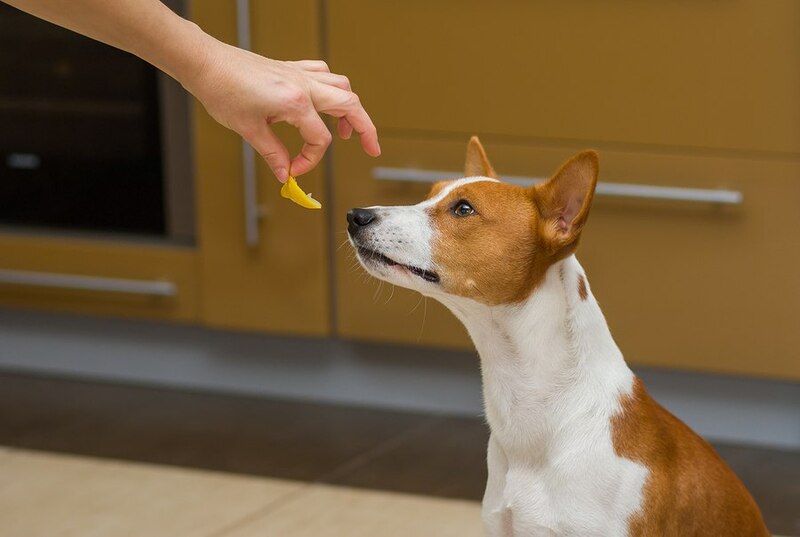 A Boost of Antioxidants: Like human beings, dogs also need antioxidants to lead a healthy life. Antioxidants play a crucial role in protecting your dog against dangerous infections. A healthy boost of antioxidants will not only allow your dog to lead a healthy life but will also improve alertness. Every dog owner wants his or her precious pooch to lead a long and healthy life. This is possible by adding supplements to your dog’s diet. Garlic: While there is slight controversy surrounding garlic, it is considered safe to use in small dosages. Garlic offers a range of health benefits that can improve your dog’s immune system, improve liver function and reduce cholesterol. Fish Oil: Fish oil is one of the most commonly used supplements for dogs. Feeding your dog fish oil can reduce the risks of cardiovascular diseases, resulting in improved skin and fur coat. Fish oil is also known to reduce the risks of irritations and allergies. ​Coconut Oil: If fed regularly, coconut oil can have several positive impacts on your puppy’s health. Using small amounts of coconut oil is beneficial for treating skin conditions, such as allergies, contact dermatitis, and eczema. 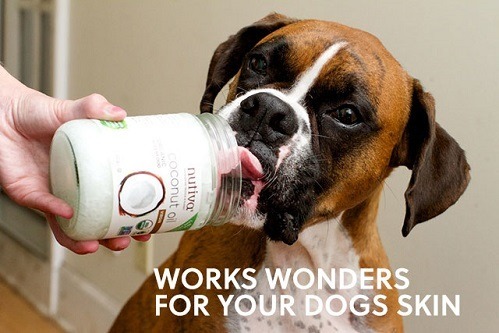 Using coconut oil is also beneficial for boosting your dog’s overall immune system. ​Apple Cider Vinegar: You are probably already aware of the health benefits of using apple cider vinegar for humans. However, did you know this wonderful tonic is also beneficial for dogs? Simply dilute a small amount of apple cider vinegar and feed it to your dog. You may also apply the solution topically to improve the appearance of your dog’s fur coat. Apple cider vinegar is said to help with some problems, including fleas, urinary issues, and tearstains. Fiber Supplements: Fiber supplements are beneficial for pets that suffer from digestive problems, such as chronic constipation, diarrhea, and irritable bowel symptoms. There are plenty of different kinds of natural supplements in the market hence it is best that you ask your vet to help you select the right one. Milk Thistle: Milk Thistle is an important herb that can improve your dog’s liver function. The ingenious herb reduces inflammation and reduces the risks of liver diseases. Silymarin is an active component present in milk thistle that has a positive effect on your dog’s liver and kidneys. 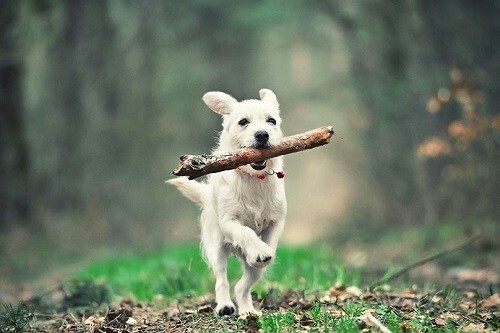 This ultimately boosts your dog’s overall health, allowing him to lead a long and healthy life. These are just a few important factors that you need to keep in mind when you are investing in dog supplements for your favorite canine friend.